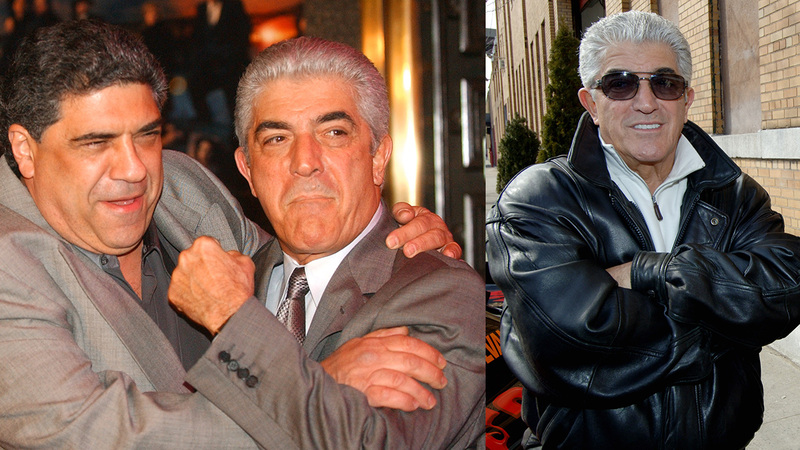 LOS ANGELES -- Frank Vincent, a veteran character actor who often played tough guys, including mob boss Phil Leotardo on "The Sopranos," has died. He was 80. Besides Leotardo, the ruthless New York mob boss who frequently clashed with Tony Soprano on the popular HBO drama and who was memorably whacked at a service station, Vincent portrayed gangsters for director Martin Scorsese. He appeared in "Raging Bull," "Goodfellas" - where he played Billy Batts, a made man in the Gambino crime family - and "Casino," playing Frank Marino, based on real-life gangster Frank Cullotta. Vincent had small roles in two Spike Lee films, "Do the Right Thing" and "Jungle Fever," and also was in "The Pope of Greenwich Village," "Last Exit to Brooklyn," "Night Falls on Manhattan" and "Shark Tale," among his more than 50 movies. His manager Melissa Prophet said in a statement that Vincent "lived life on his terms, creating a dynamic and successful path in every endeavor he chose. His generosity and spirit extended beyond his family and closest friends, as he strived to promote new talent in the performing arts."